Nature provides us with many cooling and calming remedies at this time of year. Even if you don’t have much of a garden, you can grow some of these in planters or window boxes to enjoy. A welcome trend in Ayurveda is looking at traditionally used Western herbs from the Ayurvedic perspective, rather than just Indian herbs. I feel it is of great benefit to be able to use and understand what is growing in our own gardens, to help reduce the impact of importing herbs from all over the world! Read on to discover how to use common garden plants, such as lemon balm, rose and mint, as well Aloe Vera and Coriander. This has been around since Elizabethan times, is happy almost anywhere in the garden and is popular with bees. It helps with digestion and the nervous system, being an antidepressant and sedative. It has many other benefits too but I mainly think of it as a ‘medhya’ or brain tonic. It is a wonderful cooling remedy for excess Pitta; enhancing memory and circulation; for the disturbance of sadhaka Pitta causing anxiety, fear of failure and low self-esteem, insomnia. It clears excess Pitta, calms the heart and cools heat in the eyes and urinary system, so beneficial if you are prone to UTIs. Externally, you can apply a paste to allergic skin conditions, herpes, shingles, hives, urticaria. 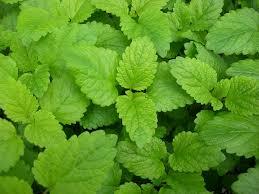 Use in the bath/ as an inflation at night to calm excitable children or dried leaves in sleep pillows. 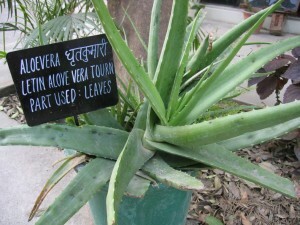 Aloe Vera Bitter, sweet/ Cold/ Sweet– Juice reduces all three doshas, with heavy, slimy nature. Aloe Vera is a naturally cooling and nourishing plant renowned for maintaining youthful looks, healthy skin and balanced digestion. It clears inflammatory heat from the body, whilst supporting gentle detoxification of the liver. It has been used for thousands of years for its healing properties and is one of Ayurveda’s most potent cleansing and rejuvenating elixirs. Aloe Vera is an amazing versatile plant – it truly is nature at its finest. Don’t use in pregnancy. Take 1-2 tablespoons every morning on an empty stomach for a cooling, cleansing start to the day. Aloe vera will remove excess heat from the intestines. You can add a little rose water too. The fresh juice or gel can be applied externally for sunburn and any signs of heat irritation of the skin (rashes, burns). It’s worth keeping a plant for this purpose, so you can lightly rub the affected area with a cut leaf. Rose petals are especially good for reducing Pitta. They also treat the heart, nerves and lift the spirits. They have an affinity for the blood and are astringent which helps reduce inflammation and stop sweating. As well as an anti-depressant, rose is also an aphrodisiac. 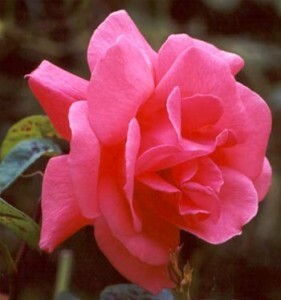 Rose also opens the heart chakra, increasing patience, compassion and love. No indications known, though take caution in pregnancy. To use, spray water externally for instant cooling. Great to keep a bottle handy for those hot tube journeys and your fellow travellers will benefit too. Clean your face in rose water every morning to clear heat related skin issues. Make your own rose water by boiling fresh petals and condensing the steam into another vessel. Anoint yourself with rose oil on the third eye, throat and navel to keep these centres of awareness cool, calm and collected. Use rose water as eye drops for itchy, hot, tired eyes, and also problems due to allergies. To do this, take one ounce of distilled or purified water and add 5 drops of pure rose oil. Use a dropper or an eye cup to rinse the eye, making sure the water is neither too cold nor too hot. Sebastian Pole (founder of Pukka herbs) recommends a delicious way to take rose is to collect a glass of fresh rose petals and cover them in sugar overnight (ideally leave in the moonlight). In the morning you will have a rose syrup elixir to mix in with home-made almond milk or take diluted with water. 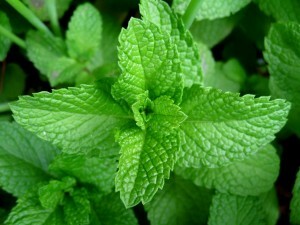 Grow some mint in a damp spot in your garden and use the leaves to make fresh mint tea- the Moroccans add sugar to make this even more cooling, which makes sense from the Ayurvedic perspective as the sweet taste is considered cooling (along with bitter and astringent). Drink it cold or hot in the evening to aid digestion. Coriander Astringent, bitter, sweet/Cooling (leaves) Slightly heating (seeds)/ Sweet- balances all three doshas. 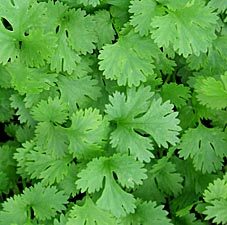 Make a fresh coriander leaf infusion to ease indigestion and diarrhoea with burning, or summer headaches. For rashes and hives, steep 1 tsp coriander seeds and ½ tsp of cumin seeds in a cup of hot milk. Add 1tsp of natural sugar and drink once or twice a day. Take the fresh juice internally for allergies, hay fever and skin rashes- one tsp three times a day (can also use juice externally for itch and inflammation). Also very good for insect bites and stings. Take the juice internally (2 tsp 3x/day) and apply externally to pacify itching, burning and hives or rash created by the sting or bite. For a cooling digestive drink, steep 1tsp of coriander, cumin and fennel seeds (all related plants with similar properties) in a cup of water for 10 minutes and drink. Another lovely cooling summer tea is to take 1/2 tsp of chamomile and 1 tsp of fresh chopped coriander leaves. Steep for 10 minutes and drink once cool. Excellent for balancing the flavour of hot spicy dishes and is used for just this purpose in Thai, Indian, Moroccan, Mexican, Chinese, Indonesian, African and South American cooking. See Recipes Page for a cooling coriander chutney. “There is nothing (in the world) which is not a medicine” (Ayurvedic saying).